Back when I wrote my November Unblogged Files, I included pretty much everything food-related that I'd experienced that month, and asked if there was anything you guys were particularly interested and wanted to know more about. 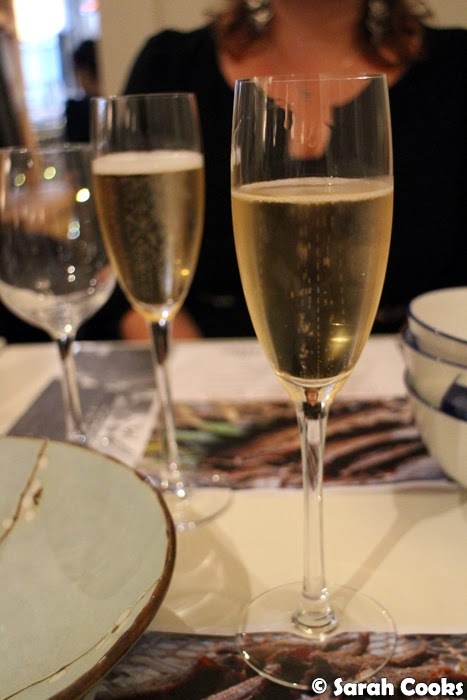 So... due to popular demand, may I present to you my post on the "Beyond the Bund" bloggers' dinner at David's Restaurant in Prahran! 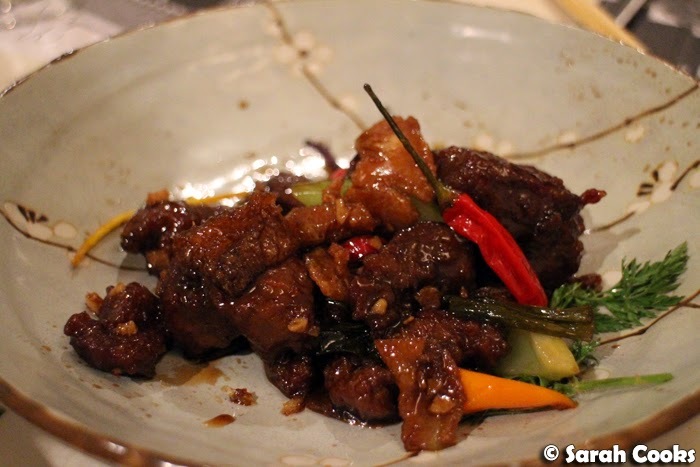 As part of Good Food Month, David's Restaurant hosted a "Beyond the Bund" event - a five course dinner showcasing regional Chinese cuisines a little further afield than their usual Shanghai, and I was invited to a attend at a complimentary bloggers' table. Y'all know I love my regional Chinese food (Dainty Sichuan, Spice Temple, Fuchsia Dunlop etc etc), so I was definitely keen! When the first course was brought out, I must admit I thought it was very plain looking - almost a little too plain for an upmarket restaurant. 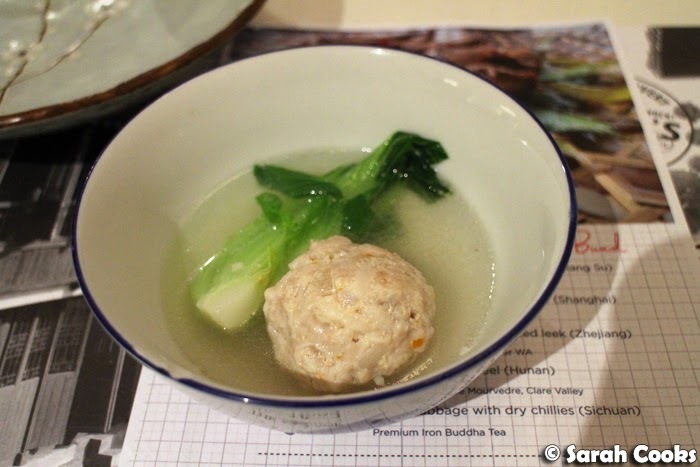 However, it actually turned out to be my favourite dish of the night - the clear broth was wonderfully rich, and I loved the meaty pork meatball, with its little crunchy pops of water chestnuts. It was really comforting without being heavy. Win! 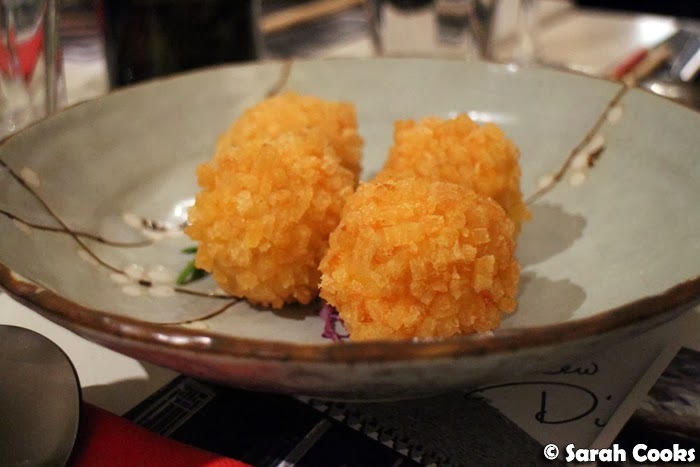 The crunchy prawn clusters were a fun dish: inside the crunchy balls was a smooth prawn filling, which itself contained a melted butter centre. Melted butter! Fabulous. I was quite literally daydreaming about these balls (heh) at work the next day! 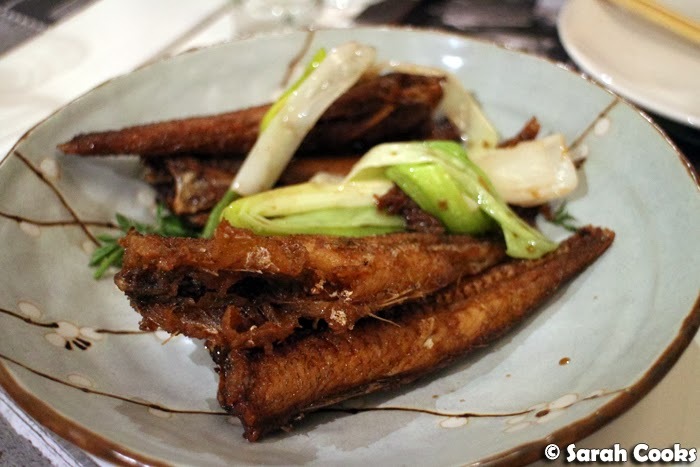 The fried whiting reminded me a lot of Malaysian Chinese flavours and again, felt very home style to me - the smoked whiting was fried bones-and-all, with a slightly sweet sauce providing contrast. I liked it a lot. Looking at all that fresh orange peel in the serving tray, I was worried this course might be too stridently orange flavoured, but it just lended a gentle citrus fragrance to the dish. 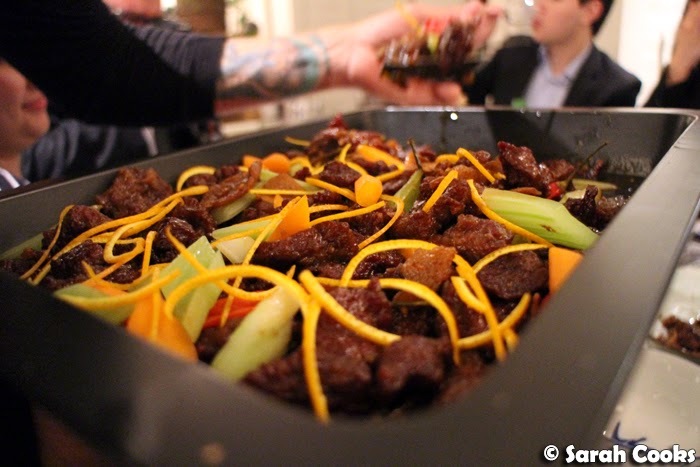 The beef was tender and the sauce had a nice level of chilli spice - lovely. 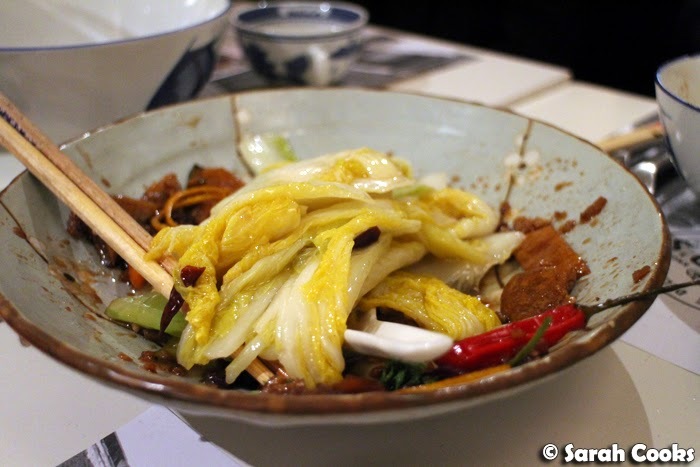 The final course was a vegetable dish of stir-fried cabbage with dried chillies and, if I remember correctly, some Sichuan peppercorns. It was spicy, but not overly so, and a nice way to round off the meal. We also ordered a few desserts to share across the table. I didn't personally try the coconut dream (it was on the other end of the table!) but I wanted to share a picture with you because it looked so pretty! Banana fritters are awesome. Fact. I would have preferred vanilla ice-cream instead of chocolate, but the banana pieces themselves had a nice crisp batter and weren't greasy at all, so they get the thumbs up from me. 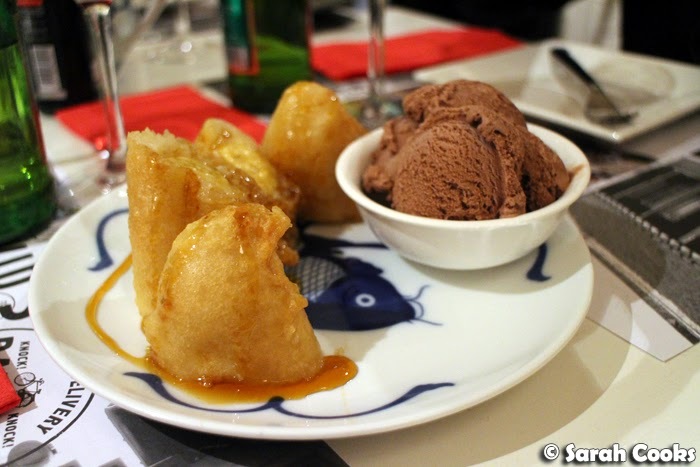 I'd wanted to try David's white chocolate dumplings for ages, and I loved them! 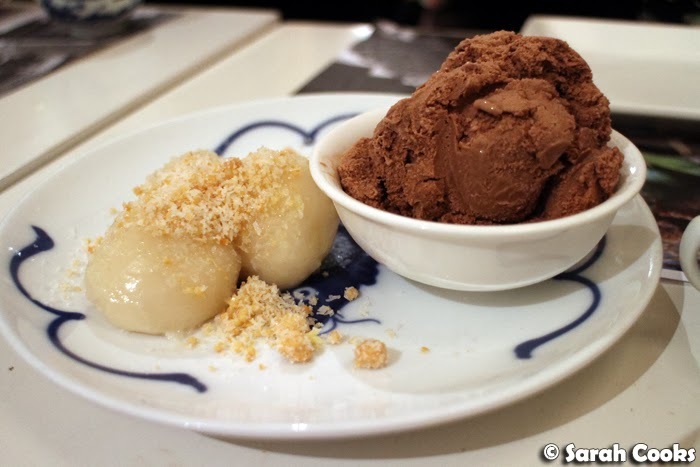 (I'd seen them on the menu at one of his other ventures, Oriental Tea House, when I went there for yum cha with colleagues, but no one else wanted dessert that day and I didn't want to look like a greedy guts in front of them, haha). The dumplings were warm, with a soft glutinous rice flour dough (think Malaysian muar chee rather than chewy Japanese mochi) encasing a melty white chocolate centre. Fusion food doesn't always work, but this one totally did for me! 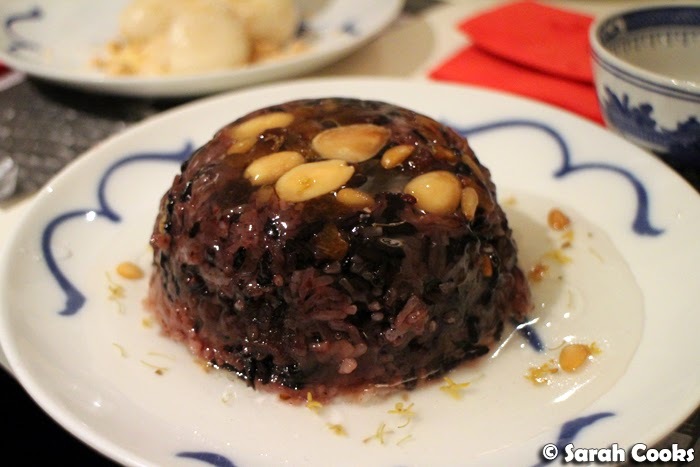 This sticky rice pudding was rather floral and quite intense, with dried fruit, almonds and candied peel mixed through the sticky rice, and a red bean centre. 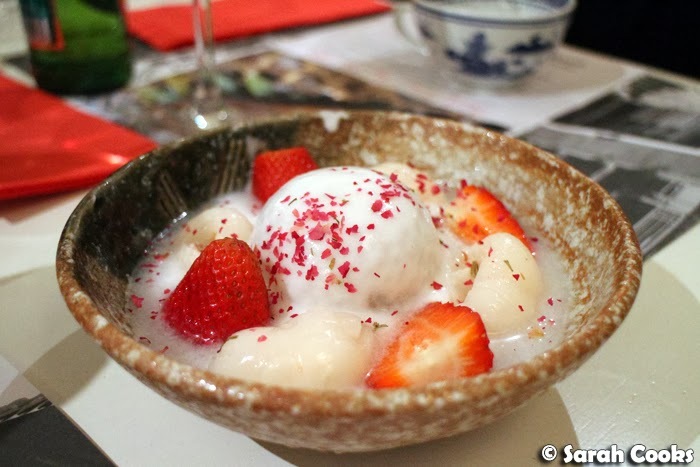 It was rather like a Chinese take on Christmas pudding, come to think of it. I was curious to try it (so thank-you to Claire for ordering it! 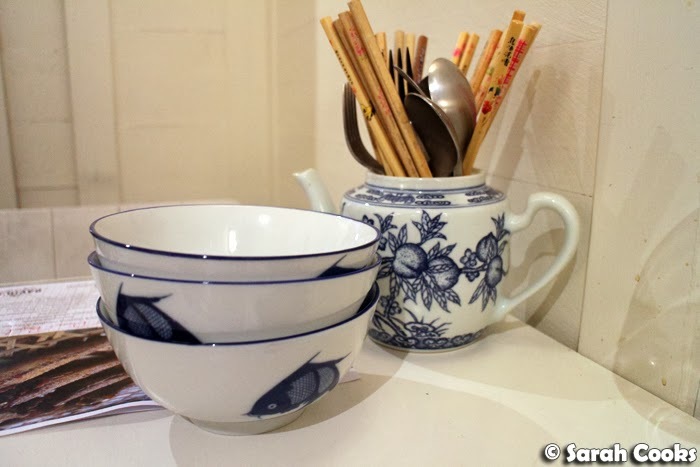 ), and I did enjoy it, but don't think I would order it myself - it was very filling, and when you combine that with very richness flavours, it was difficult to manage more than a couple of spoonfuls. 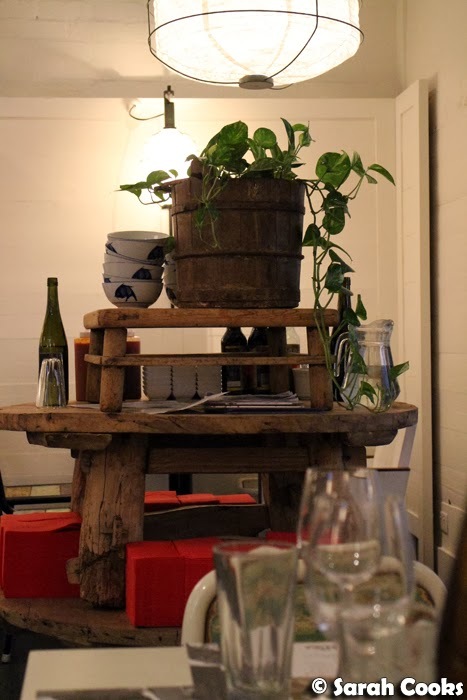 The dinner was priced at $65 for five savoury courses with matching drinks (desserts extra), which I felt was good value - I enjoyed the food, I was happily full by the end, and this included three glasses of wine, a beer and a tea. 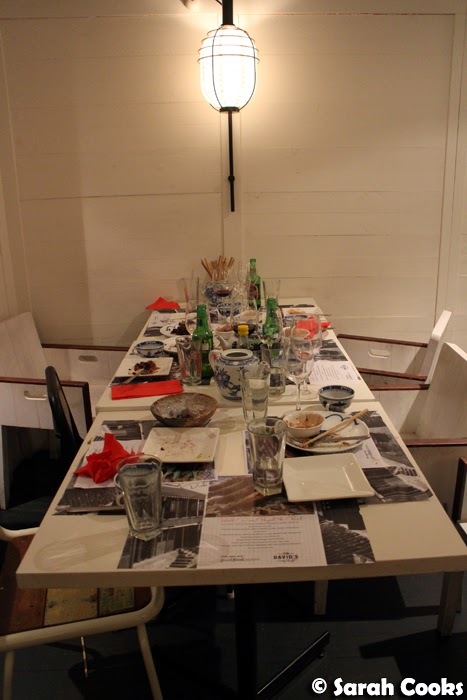 Whilst the food that we enjoyed this evening isn't on the regular menu (apart from the desserts), I was sufficiently impressed by the quality of the food and the ambiance to say that I'd happily come back on a normal evening and try out David's modern take on Shanghai cuisine on my own coin. Wish I could have gone to this - it sounds amazing. Delicious looking meal - love the sound of the crunchy prawn clusters! Yum. The look of those prawn clusters was already attention-getting but then when I read about the melted butter centres - omg swoon!